Although the previous generation of the Inspiron 15 7000-series, the Inspiron 15 7567, obviously had some issues of its own and the lack of an IPS panel being the biggest one, it was received by the market fairly well due to its solid construction, good cooling design, great battery life and, of course, it offered great value for the asking price. Now with a slightly refreshed appearance and a brand new IPS panel, the Inspiron 15 7577 aims to right the wrongs of its predecessor. Also, configurations are not limited to the GTX 1050 and 1050 Ti anymore – the OEM released versions with GeForce GTX 1060 Max-Q. But besides the hardware upgrades and the obvious design changes, we wonder if the IPS panel will be good enough to compete with the competitors in this price range and will the cooling system perform just as good as it performed with the GTX 1050 Ti under the hood? Also, is the GTX 1060 Max-Q really worth getting it in a bulky chassis like this or you should maybe stick to the regular GTX 1060 considering the price point? We find out in the full review below. 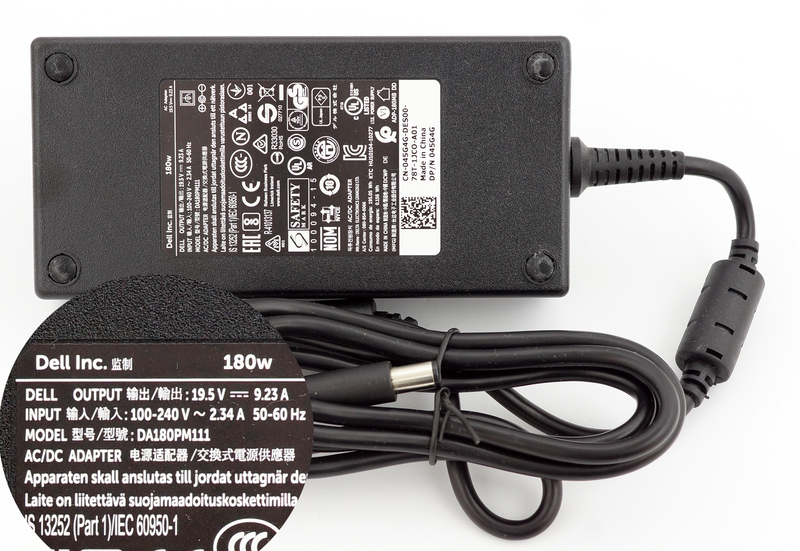 The box containing the laptop also comes with the usual user manuals, AC adapter and power cord. 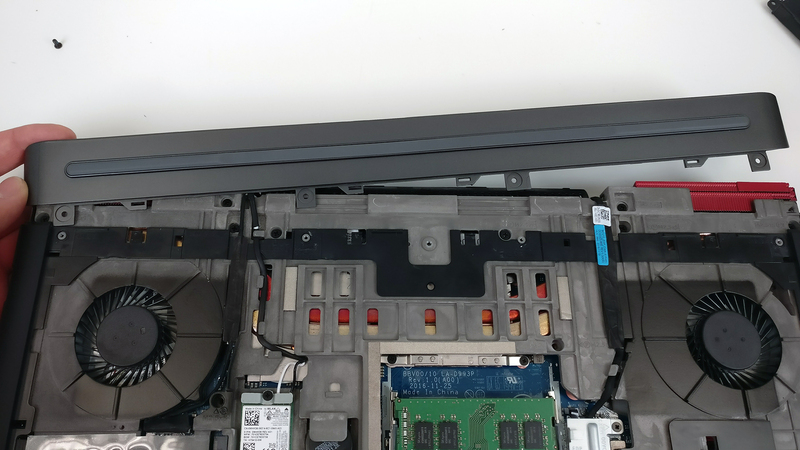 At first glance, the Inspiron 7577 is identical to the Inspiron 7567 but there are some small changes here and there that are worth mentioning. For starters, there’s a slight decrease in weight and thickness while the materials used for the exterior and interior are different. Instead of matte plastic coating, the new alteration comes with hard plastic finish imitating anodized aluminum and as for the interior, it now incorporates the real thing – anodized aluminum. Starting with the lid, it uses hard plastic material resembling anodized aluminum, yet it feels as rigid as aluminum. Still, pressing the middle of the plate results in slight bending and twisting the screen results in visible deformation. We’ve noticed the same problem with the previous model and we still think that the narrow single-hinge design is the culprit here. Also, the sharp corners and fairly thick bezels give the laptop a more clunky appearance. But as far as the hinge is concerned, it provides smooth linear travel, firm hold and allows the notebook to be opened with just one hand. The bottom has also gone through some changes, although rather small – there are two slightly bigger vent openings for better air intake and just one screw holding the whole plate. The sides also come with a bit different I/O configuration – on the left, you we see the RJ-45 LAN port, the DC charging port, USB 3.0 and the SD card reader while on the right, we find the most commonly used connectors, which in some cases where the working space is limited, it might be an issue because it will obstruct normal mouse usage with all the cables sticking out. Anyway, we are happy to see two more USB 3.0 connectors, HDMI, 3.5 mm audio jack and a USB-C 3.1 port with Thunderbolt 3 support. The latter is much appreciated and it’s a rarely found feature in this price range. We are also impressed by the fact that the GTX 1060-powered models are not the only ones receiving the Thunderbolt 3 treatment, the GTX 1050 configurations also get this, which is pretty darn cool. Also, the design of the front and back grills has been changed promoting a more simple and clean look. Opening the lid reveals roughly the same interior, which means that the same issues arise with the new model as well. The keyboard isn’t exactly gaming-centric because of the rather short key travel, the lack of prominent tactile feedback and the arrow keys are small making a suboptimal experience in racing games and navigating through menus. Similarly, the touchpad feels a bit jumpy and fails to register precise movements although, it offers light and clicky mouse buttons. Anyway, we found the shift from plastic to anodized aluminum a good thing – the surface is rock-solid and super smooth to touch but remains a fingerprint magnet. Despite some of the changes, the laptop looks and feels the same as before – excluding the lack of matte finish for the exterior, of course – so we draw pretty much the same conclusion. The build quality is good, except the slightly flimsy and clunky-looking screen, the keyboard leaves much to be desired and the same goes for the touchpad. It might feel a bit heavy for a 15-inch device weighing around 2.85 kg but it does feel rigid in the hand. 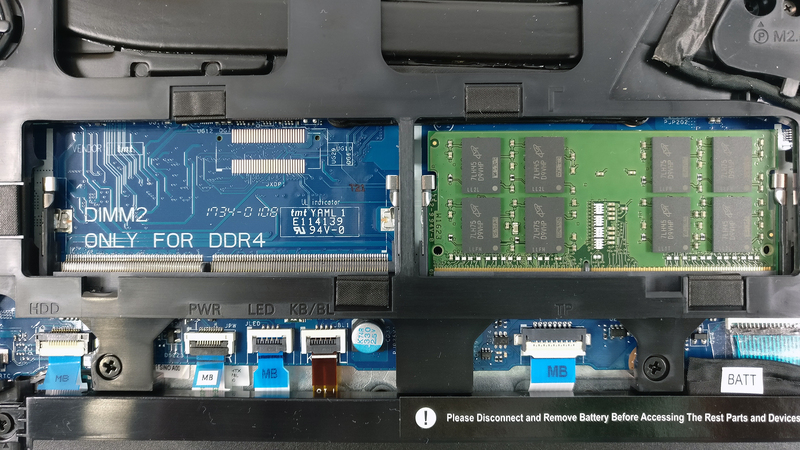 Moreover, the inclusion of a USB-C 3.1 connector with Thunderbolt 3 support is a much-welcomed change that sets the Inspiron 7577 apart from some of its competitor. 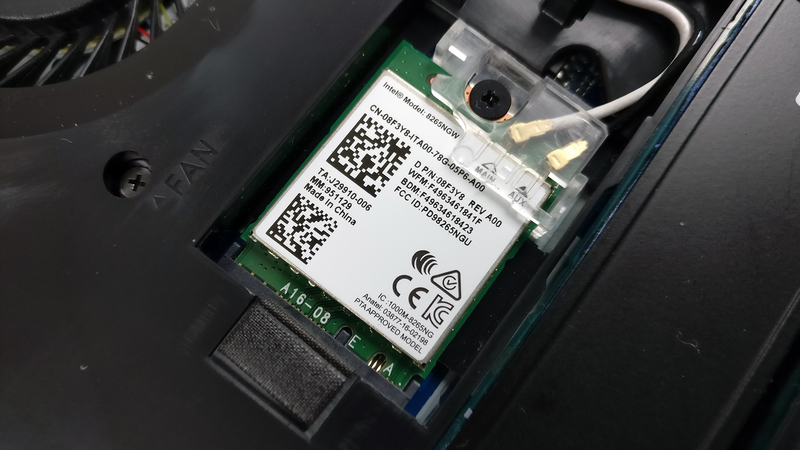 Just like its predecessor, the Inspiron 7577 offers extremely easy access to all of the internals – you just have to unscrew one bolt and remove the bottom piece and you will be granted access to the battery, memory and storage. But despite being almost identical, there are some small differences between the older 7567 and the 7577. 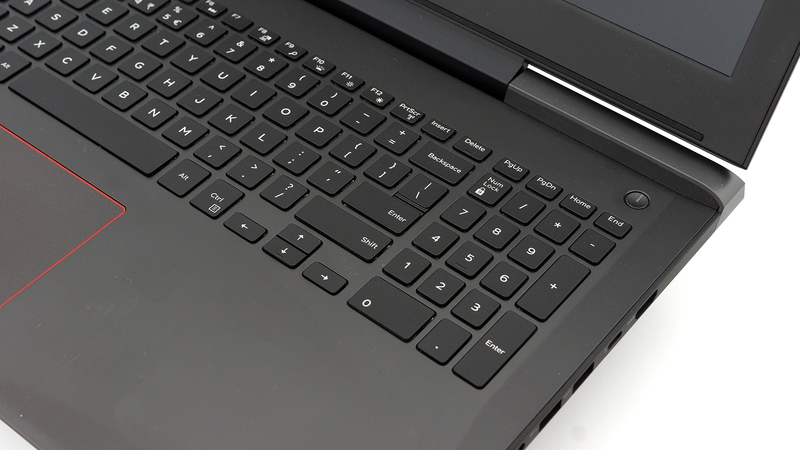 As before, the laptop offers a standard 2.5-inch drive and an M.2 2280 SSD slot. They are both located in the lower left corner as shown in the photo below. 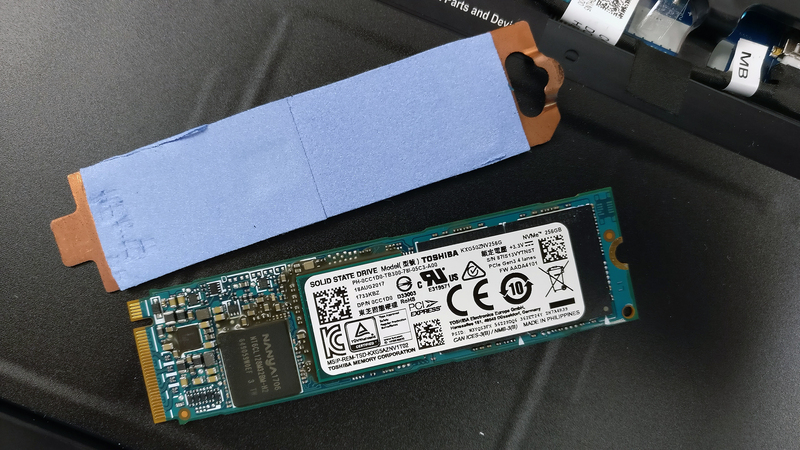 In our case, the 2.5-inch drive is 1TB Seagate while the M.2 slot is taken by a 256GB Toshiba PCIe NVMe SSD. Although positioned slightly different than before, the motherboard still holds two RAM slots supporting up to 32GB of DDR4-2400 memory. 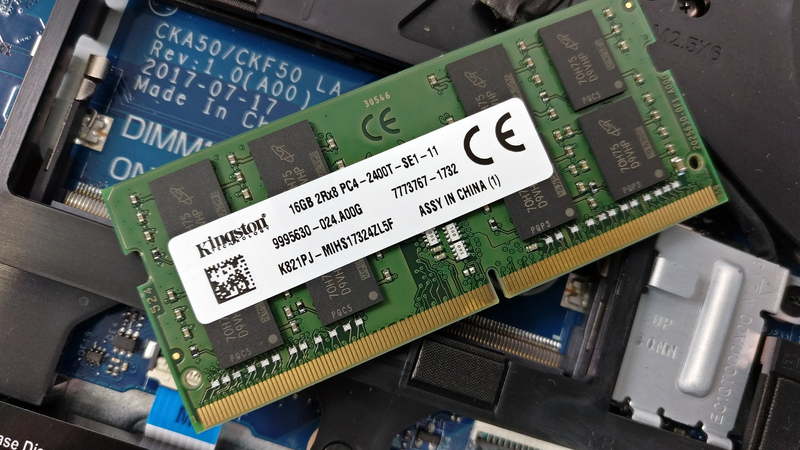 The unit we reviewed had a single 16GB DDR4-2400 chip from Kingston. The Wi-Fi card is placed next to the left cooling fan with the bottom facing up. It’s manufactured by Intel and the model is 8265NGW. Now the battery capacity has been reduced – from 74Wh to 56Wh. 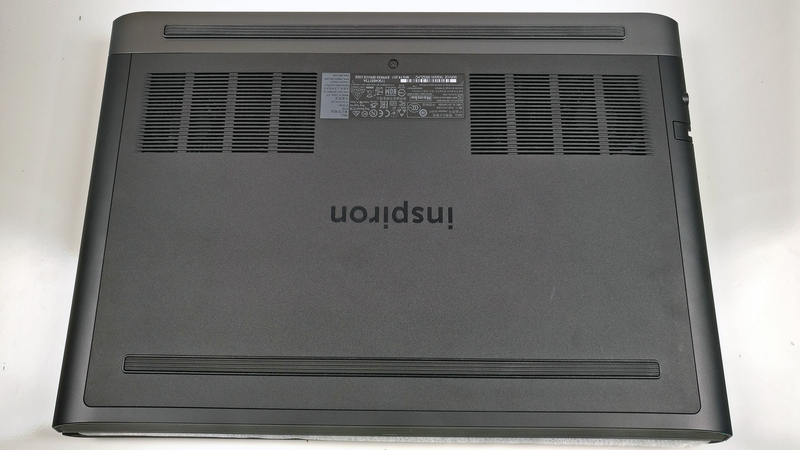 The cooling system is identical to the previous version of the laptop providing a good cooling performance. You can see it in detail in the disassembly section of the previous model where we took the whole thing apart. The notebook uses an LG LGD053F (156WF6-4XK13) IPS panel with Full HD (1920×1080) resolution in a 15.6-inch diagonal. This means that the pixel density is 142 ppi while the pixel pitch is 0.18 x 0.18 mm. The screen can be considered as “Retina” when viewed from at least 60 cm. The display offers comfortable viewing angles. We were able to record a maximum brightness of just 250 cd/m2 in the center and 233 cd/m2 as average across the surface with just 11% maximum deviation. The correlated color temperature on white screen at maximum brightness is almost perfect – 6525K because the standard color temperature is believed to be 6500K. But as we go along the grayscale, the average color temperature gets lower to around 6340K. 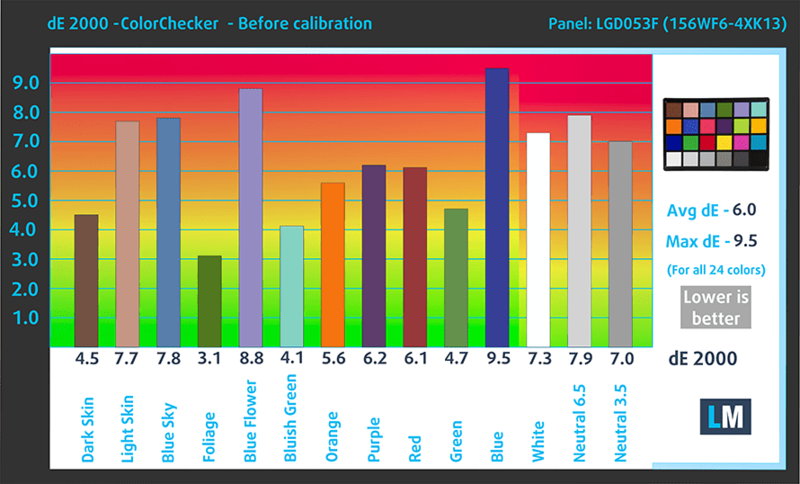 You can see how these values change at 56% brightness (139 cd/m2). The maximum color deviation (dE2000) compared to the center of the screen at 56% brightness is just 2.8 – this is essential if you plan to you use the screen for color sensitive work as values above 4.0 are unwanted. The contrast ratio is 1230:1 before calibration and 1150:1 after. 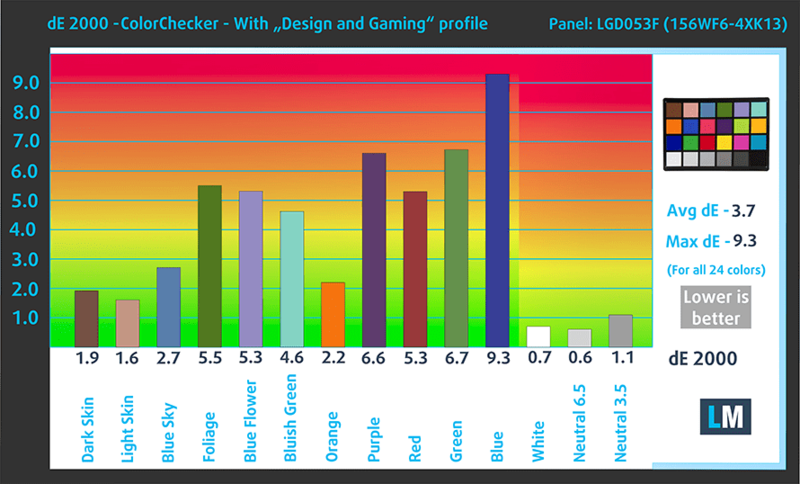 Unfortunately, the screen covers barely half of the sRGB color gamut – just 52%. This means that it’s not the best choice for gaming and multimedia purposes. We are pleased to see that our equipment didn’t detect any light pulsations (PWM) at any given brightness level so it should be safe to use for long periods of time without causing too much eye fatigue. The presented display here is a mixed bag but in any case, it definitely doesn’t fit the upper mid-range gaming price tag of the device. The contrast ratio is excellent and the absence of PWM across all brightness levels are definitely a plus but the fairly dim (just 250 cd/m2 peak brightness) and the limited sRGB coverage (just 52%) don’t make a compelling case at all. 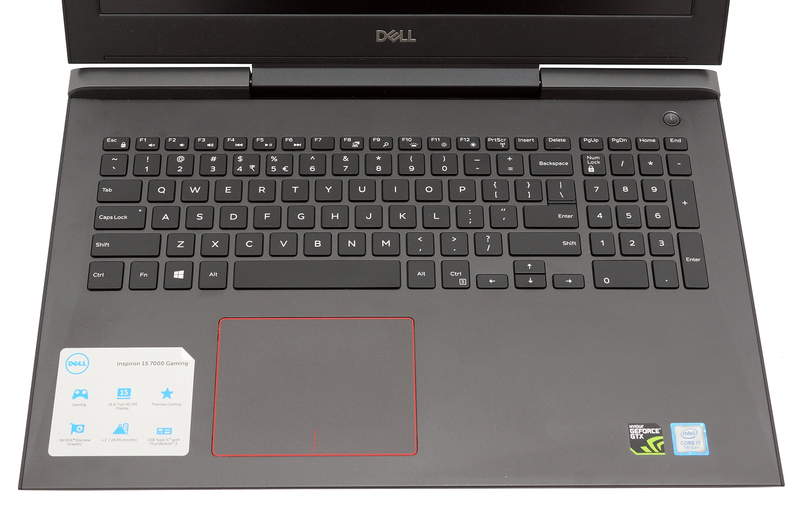 Both properties are essential for optimal gaming and multimedia experience and it looks like once again, Dell has cut corners with its Inspiron gaming notebook when it comes to image quality. The previous version of the notebook came paired with a lackluster TN panel so this is an improvement, nonetheless. But while this display might be justified for the lower configurations with GTX 1050 and 1050 Ti, it sure doesn’t make sense in the GTX 1060-powered models like this one. The sound quality is good – there’s enough clarity in the low, mid and high frequencies. We used a clean install of Windows 10 Pro and if you wish to do the same and get rid of the bloatware, we suggest downloading all of the latest drivers from Dell’s official support page. 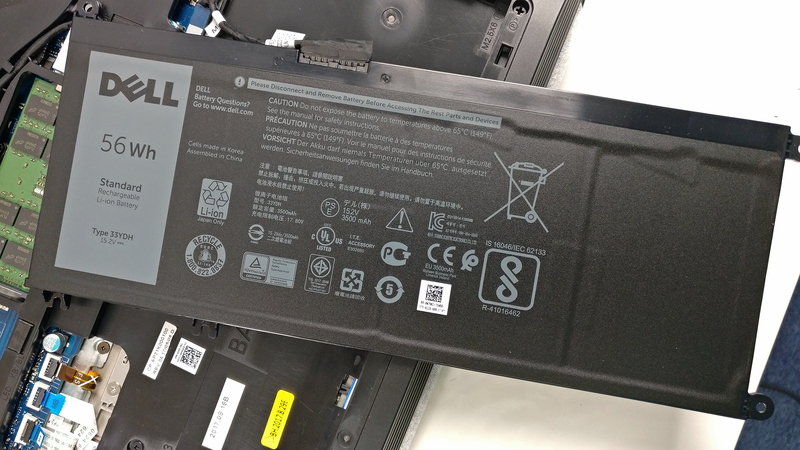 To our surprise, the lowered battery capacity from 74Wh to 56Wh, the notebook scored excellent results in our tests surpassing some of the 15-inch business notebooks and as we all know, gaming laptops don’t necessarily come with long battery life. 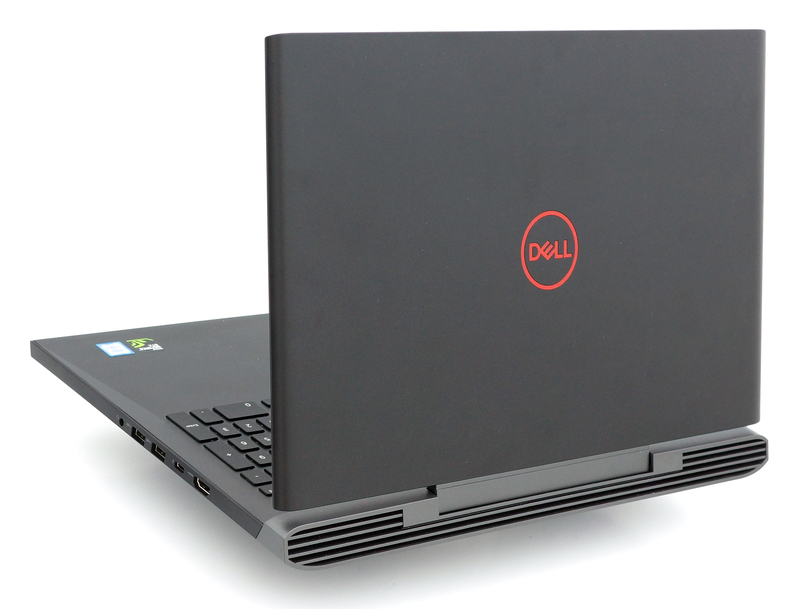 The Inspiron 15 7577, however, makes an exception and it’s actually the endurance champion among gaming machines. Of course, all tests were run using the same settings as always – Wi-Fi turned on, screen brightness set to 120 cd/m2 and Windows power saving feature turned on. Exceptional web browsing runtime – 600 minutes (10 hours). Considerably lower but still amazing result – 432 minutes (7 hours and 12 minutes). It’s quite unlikely that you will start a gaming session without being close to a power source, but it’s good to know that you can play almost three hours away from the plug – 175 minutes (2 hours and 55 minutes). Fritz is a chess benchmark that tests the computing capabilities of the CPU with various chess moves. The Intel Core i7-7700HQ scored 13.724 million moves per second. In comparison, one of the most powerful chess computers, Deep(er) Blue, was able to squeeze out 200 million moves per second. In 1997 Deep(er) Blue even beat the famous Garry Kasparov with 3.5 to 2.5. Here you can see an approximate comparison between the GPUs that can be found in the Dell Inspiron 15 7577 models on the market. 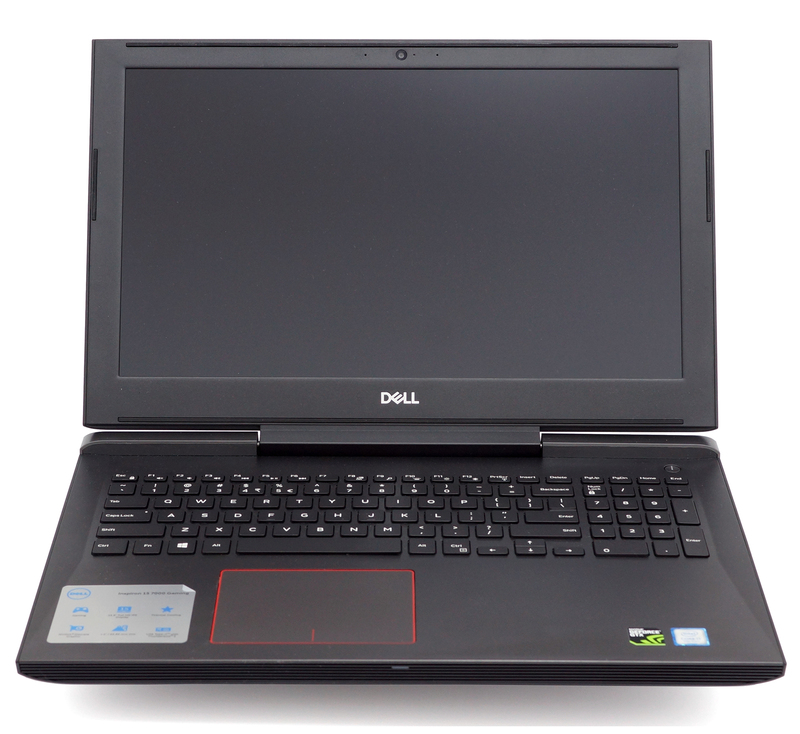 This way you can decide for yourself which Dell Inspiron 15 7577 model is the best bang for your buck. The stress tests that perform don’t represent real-life usage because even the most demanding games don’t require 100% CPU and GPU load for such long periods of time. Still, this is still the best way to assess the overall effectiveness and stability of the cooling system in the long run. We started off with 100% CPU load for about an hour. 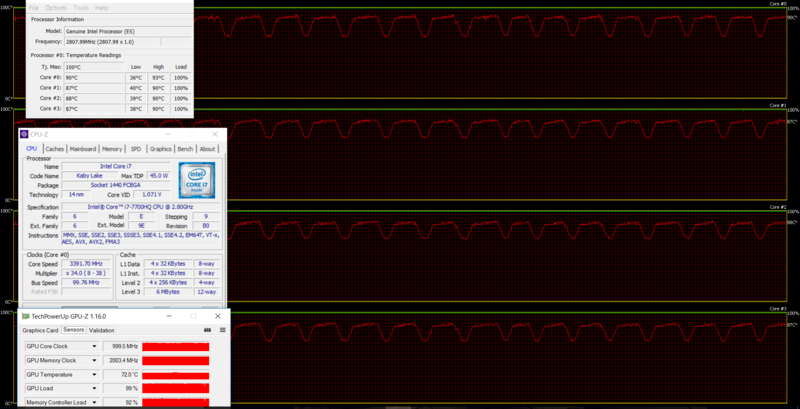 The Core i7-7700HQ ran at 3.4 GHz stable at surprisingly low temperature. 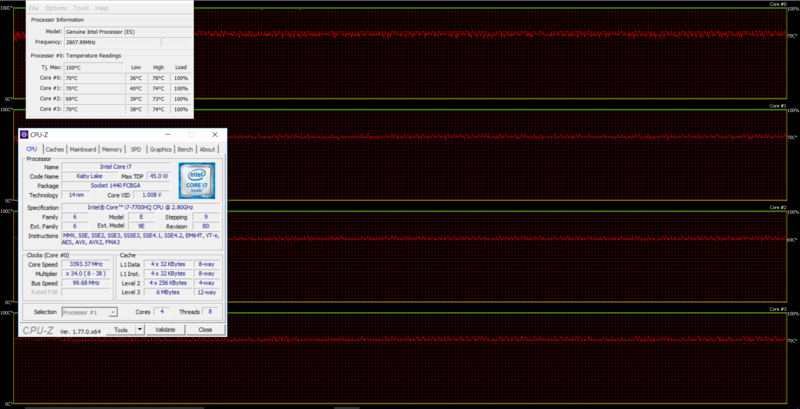 Turning on the GPU stress test resulted in elevated CPU temperatures and small swings in frequencies. The same goes for the GTX 1060 Max-Q as well – the chip was going back and forth from 1060 to 1000 MHz, which is minor throttling but at surprisingly low temperature – 72 degrees Celsius. So, the results indicate pretty stable cooling solution keeping the internals and the external chassis as cool as possible. Temperatures on the surface remained cool as well. The only noticeably warm spot is right above the keyboard. 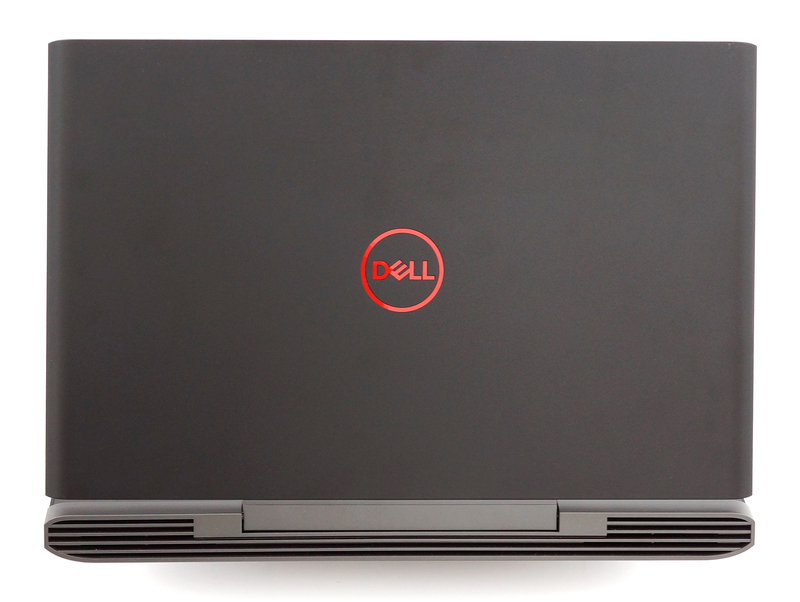 With a new price tag comes along new hardware as well – the Inspiron 15 7577 offers updated chassis and better (for the most part) hardware. The laptop can now compete with the likes of Lenovo Legion Y520, ASUS ROG Strix GL553VE and Acer Aspire VX 15 although, being a bit pricier than most. However, in this review, we visited the top-shelf configuration with GTX 1060 Max-Q and let’s talk about that for a second. For just about the same price, you can get the Lenovo Legion Y720, the Acer Aspire Nitro V15 Black Edition or the Acer Predator Helios 300 all of which come with full-fledged GTX 1060. The real competitors in this regard are the HP Omen 15 (2017) with GTX 1060 Max-Q and the Lenovo Legion Y520 GTX 1060 Max-Q but are rarely found on the market at this point. It also raises the question whether or not the GTX 1060 Max-Q GPU is suitable for such big and bulky chassis. NVIDIA’s Max-Q graphics chips are intended for thin and light laptops in the first place. 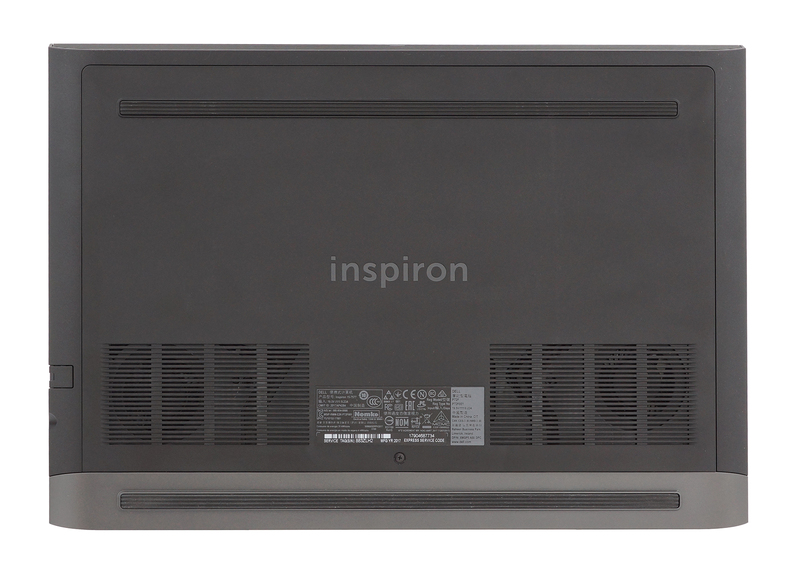 So keep that in mind when you are choosing the right Inspiron 7577 configuration for you. In any case, the cooling system of the laptop handled the powerful hardware with ease, even under extended and heavy workload. The same goes for the battery – we were quite surprised to see such high battery scores considering the high-voltage quad-core CPU and the IPS display. Which leads us to our main complaint – the screen. 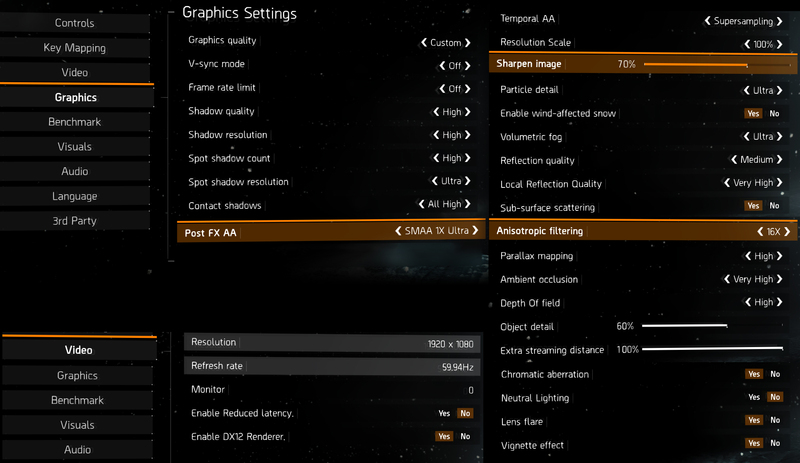 When you pay at least $1 100 for a laptop, you’d expect a good IPS display suitable for multimedia and gaming but instead, you receive the very same screen that you would get from the GTX 1050 and 1050 Ti configurations with limited sRGb coverage, low maximum brightness and not the best color accuracy. 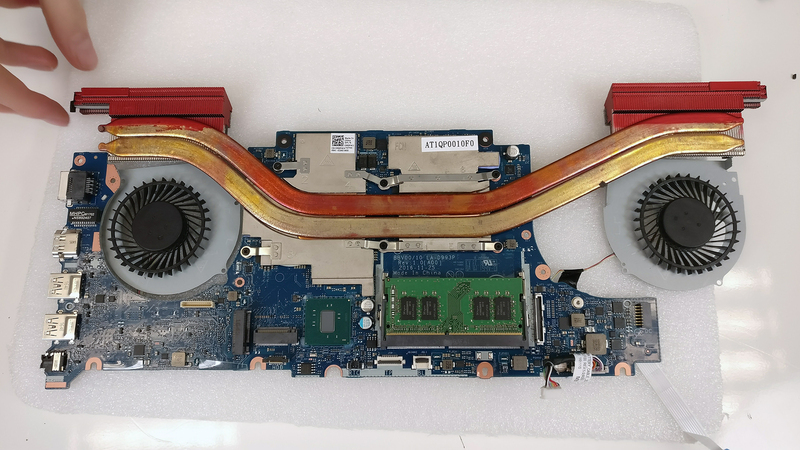 And when it comes to general usability, the device feels almost the same as the previous Inspiron 7567 with some small changes in the interior. Unfortunately, though, Dell hasn’t improved the keyboard or the trackpad – while the former feels good for typing, it’s definitely not the best choice for gaming while the skipping and sluggish trackpad is pretty annoying to use at times. The lid remains flimsy as before on contrary to the rigid base. And finally, battery life has gone down due to the lowered battery capacity but still beats all of the competition in our endurance tests.